1. Increased drinking accompanied by increased urination. 4. Hair loss on both sides of the body. 5. Skin problems, such as: thinning skin, calcified lumps on the skin, and susceptibility to skin infections. 8. Weakening of heart and skeletal muscles. 1. Treatment of pituitary tumors with Lysodren for dogs, which cure the symptoms of pituitary tumors, but not the tumors themselves. 2. Tumors in the adrenal gland are removed via surgery or medication. In extreme cases, the adrenal gland is completely removed. 3. Vetoryl for dogs is sometimes used in place of Lysodren, but is generally used for human cases and is not yet FDA approved for canine use. 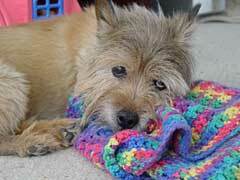 Cushings disease in dogs can be a debilitating and heart-breaking illness. Knowing these symptoms and treatments is your first step in ensuring your dog’s health.